The Orientation Ceremony (2018) of Department of Botany was held in Al-Razi Hall in Undergraduate Block on 8th November, 2018 at 2 pm in honor of the newly admitted students. The new students and all the faculty members were present on the occasion. The ceremony started with the recitation of the Holy Quran followed by Naat-Rasool (Peace be upon him). 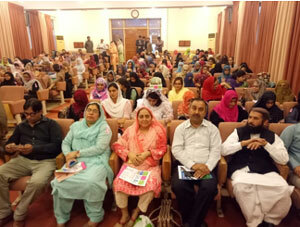 Dr Humera Afrasiab coordinated the session and welcomed the newly admitted students in all programs. Later she introduced the audience with history, faculty and various facilities in the Department. 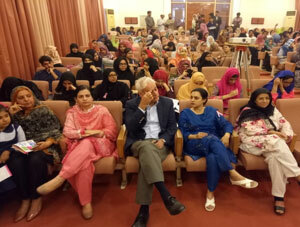 The Chairperson, Dr. Firdaus-e-Bareen, welcomed and addressed the new students. She acquainted the students with the rules and regulations of the semester system. The event ended with refreshment.